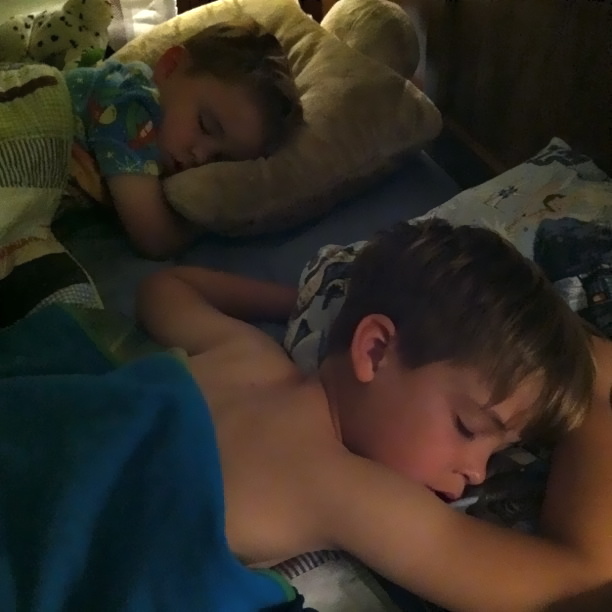 It's been about three weeks since we moved Jake out of the nursery and into the "big boy room" with Nicholas. 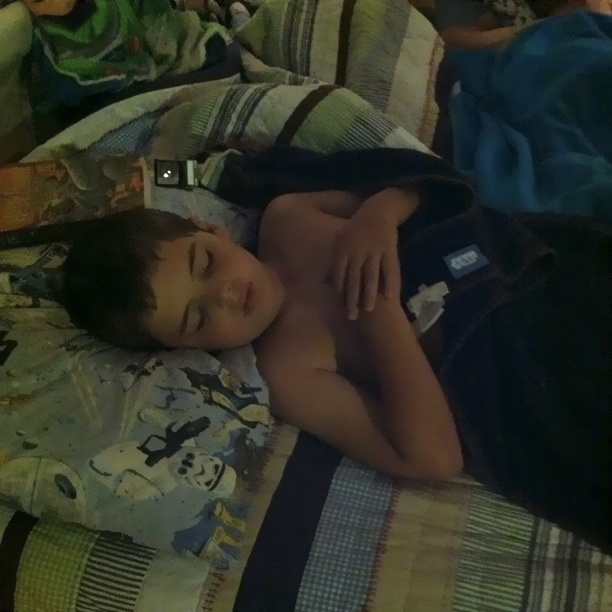 That meant that we also moved Nathaniel from the big boy room into what was formerly the guest room. I'll say this, though: It didn't take. 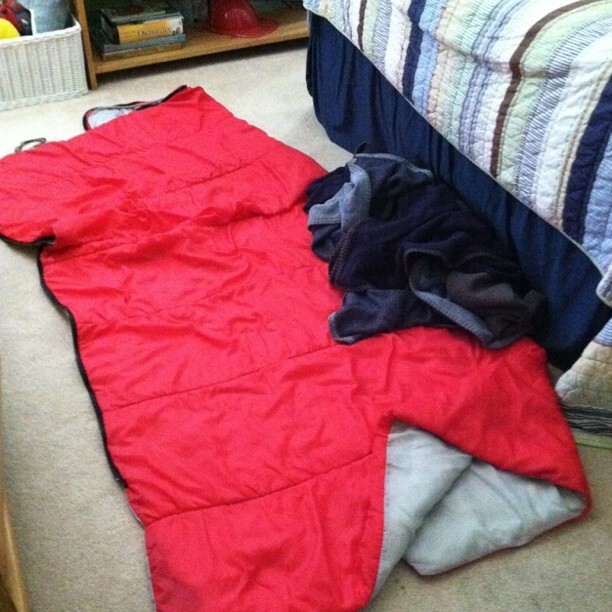 For the first couple of weeks, Nathaniel wanted to sleep in a sleeping bag on the floor at the foot of Nick and Jake's bed. He didn't want to miss out on the slumber party. I had to turn a couple of lights on to get the pictures, but I couldn't resist. 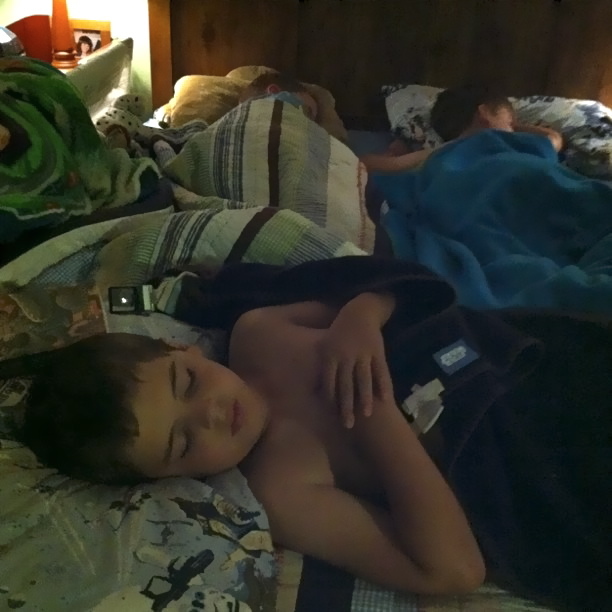 He'd just climbed up into their bed and settled in right below their feet. The cuteness was almost more than I could handle. Everyone was sound asleep and had been for some time. But I have no idea how long this will last, this mutual admiration society. So I think I'm just gonna let it go on a while longer. So sweet! 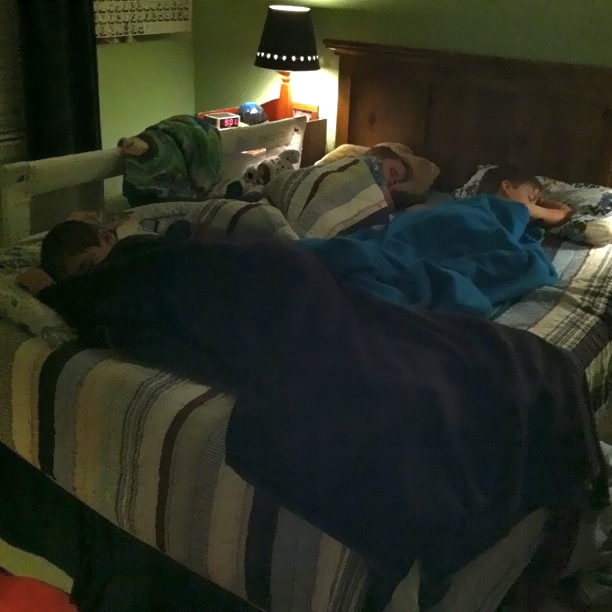 I hope my boys are as close as yours when they grow up! OH my, that is sweet. I wouldn't have been able to handle it. That is so sweet! I wouldn't mind the talking if that was all they were doing. Mine start fights and throw toys and all sorts of drama. 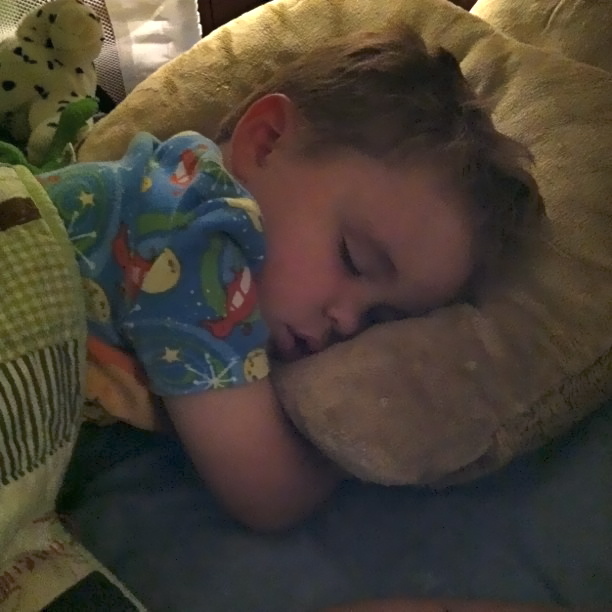 Bedtime is not our fun time as much as we work to be consistent with them. 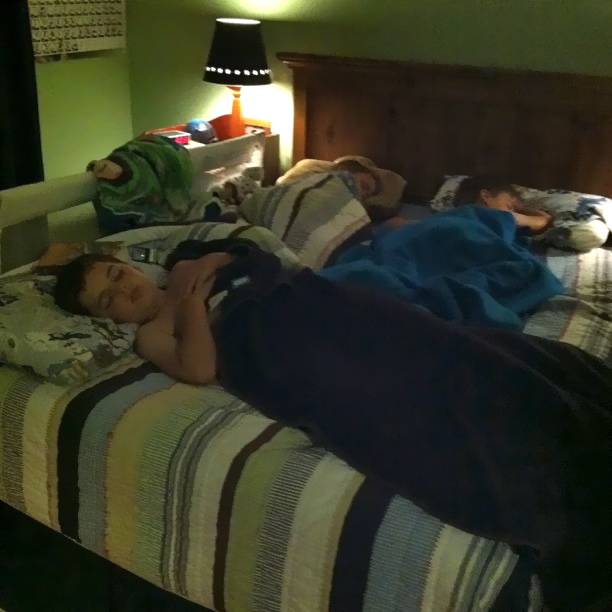 All three of our boys share a room. We just don't have the space right now to split them up. That is the sweetest thing, ever! Cute. When one of the boys gets longer legs, then things will change. Is there room to add a twin bed in there? My sister & I shared a bedroom (16 yrs) until my brother went away to college, then I got his room. We have fond memories of the younger years, but she is 7.5 yrs younger than I am, so at one point she became a big thorn in my teenage side.